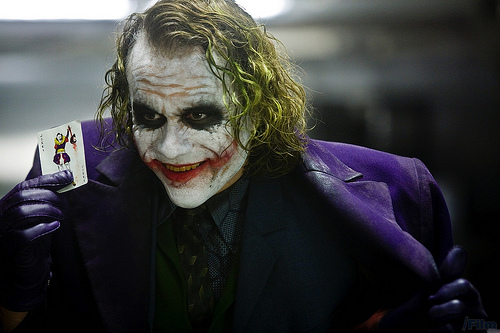 The most shocking part of The Dark Knight (2008) was the Joker's bizarre facial scarring, but it could have been even creepier. 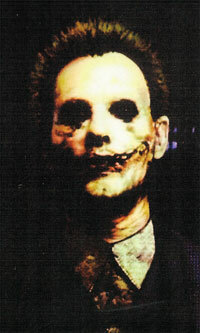 In the book The Dark Knight: Featuring Production Art and Full Shooting Script they have some of the other ideas behind his slashed face. The scars are a lot more extreme with flapping skin and deep gashes. 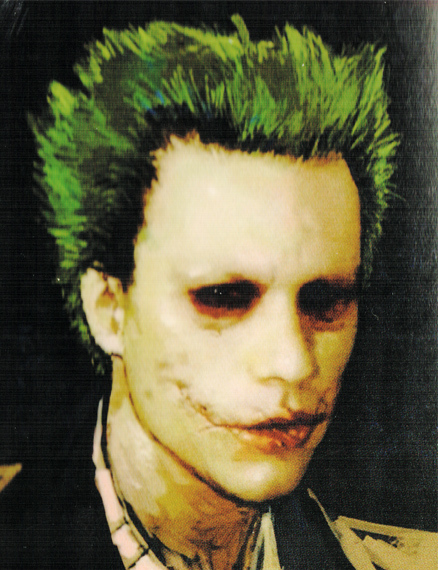 First, a look at what Heath Ledger looked like in the film. Production design by Nathan Crowley. Concept artists were Jamie Rama, Dan Walker, Matthew Savage and Mark Taylor. 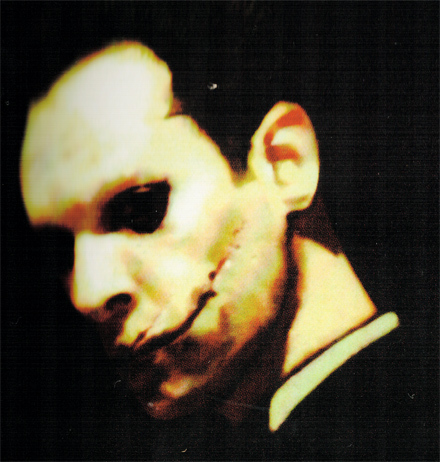 Do you wanna know how he got those scars? The designs you have above were done by Rob Bliss. 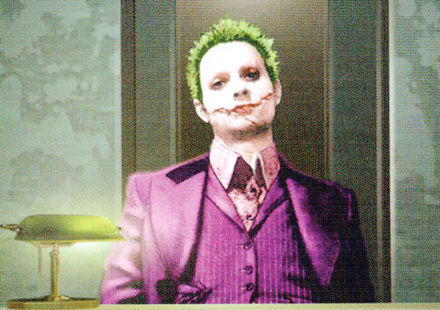 He came up with the concept for the jokers face and the clown gang masks. Some of his old work can be seen here.. Thank you so much. I always like to get accurate sources.